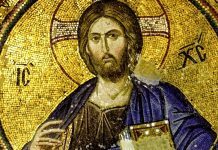 By Dr. John Ferrer| In the last post I discussed the notion of “heresy,” and “orthodoxy,” and then we looked at an Orthodox Christology, that is, the established and historic teaching of the church regarding Jesus Christ. After that we looked over some of the common heresies.We did not however defend the Orthodox view. Defending an idea or topic is called “apologetics.” Here, I want to do some Christian apologetics, defending the established Christian teaching on Jesus. We’re going to do some theology and some Bible study. Now I’m going to assume, for our purposes that the Bible is reliable and inerrant. You may not agree with me, but we’ll never dig into orthodox christology very deeply if we spend all our time arguing over whether we can trust the Bible. Besides, there are some great works already defending the accuracy and reliablility of the Bible. If you don’t believe the Bible is reliable or inerrant, then consider this defense to be a proof that if the Bible were inerrant then orthodox christology is a sound composite theological picture from Scripture, which is, so far, superior to all the standing alternatives. I’m also going to focus my argument on biblical defenses. I consider creeds and councils, church fathers, and seasoned theologians to be great sources of guidance on theological issues, but I do admit they are secondary sources of support. Often Scripture is unclear and those sources are invaluable in settling disputes and in challenging shallow, prooftexted, or otherwise novel interpretations. But for the sake of simplicity, and for the space-concerns of this article, I’m going to focus on biblical defenses. Jesus’s full humanity is attested in several ways. The chief contention, however, is that He’s also treated as supernatural/divine elsewhere. Orthodoxy Christology has settled on what’s called the “hypostatic union”–a fancy term for the union of two natures: humanity and deity. In Jesus, human nature and divine nature are united–mysteriously–as one single person. We’ll get to this hypostatic union in a minute, but first lets see why we might be led to think of Jesus as both human and divine. At several points in Scripture Jesus is called, directly, a “man” (Rom 5:15; 1 Cor 15:21; 1 Tim 2:5). 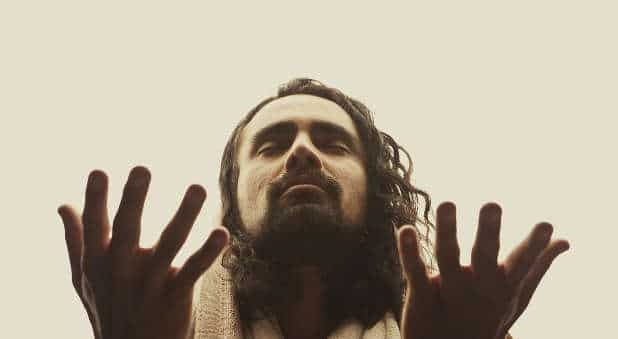 We should remember that even as Jesus has other qualities which are not merely human, we cannot assume that he somehow lacked humanity, especially since Scripture liberally calls Jesus a “man.” His ability to work miracles, prophecy, and forgive people of their sins all testify that he’s more, not less, than human. Matthew 1:18-26 and Luke 2:1-7 attest to Jesus’s virgin birth. 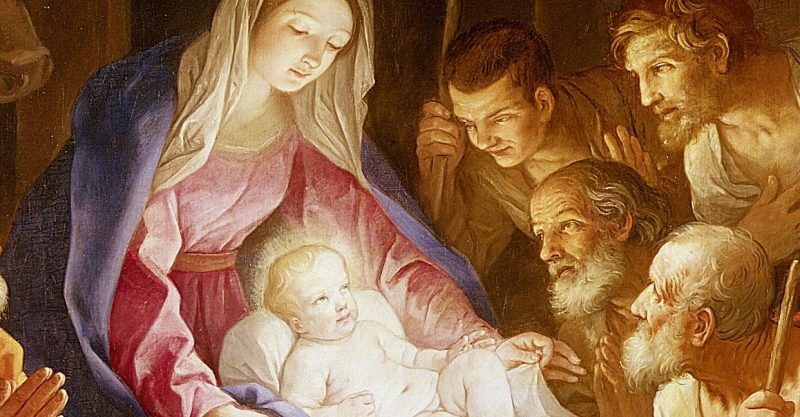 Now a person doesn’t have to affirm the virgin birth to grant that Jesus was born of a woman named Mary. The birth narratives detail a supernatural conception, but everything else about Mary’s pregnancy and childbirth are described in mundane, physical fashion. Nothing in the text suggests anything unusual regarding Jesus’s gestation and birth except perhaps that He quickens (moves around) in Mary’s womb when Elizabeth comes near (she was pregnant with John the Baptist at the time; Luke 1:41). It also bears mentioning that Jesus’s birth means he has a human genealogy (Matt 1:1-17; Luke 3:23-28), and biblically, he has to have a genealogical record if he is going to be the “Son of David” (2 Sam 7:12-13). In the incarnation Jesus became flesh and bone (John 1:14). He eats and sleeps (Mark 2:16; 4:35). He may have worked as a carpenter apprenticed under his father (Mark 6:3; 13:55). 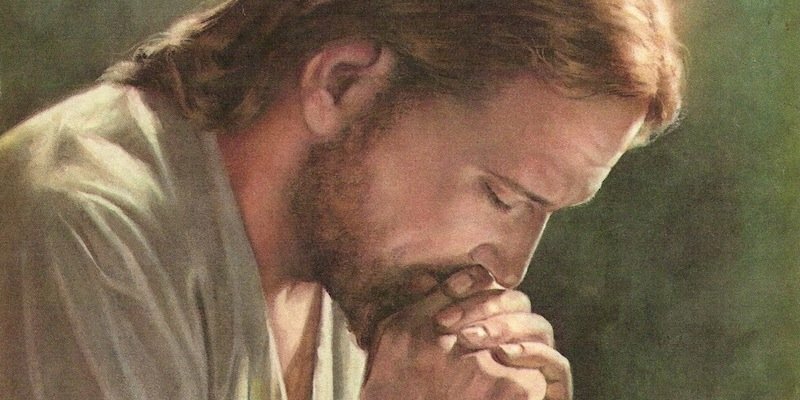 According to the Gospels, in His earthly ministry, Jesus appears to conduct himself in the normal human ways, eating, sleeping, using the restroom and so on. If Jesus, for example, never had to use the restroom we could expect that at least one of the disciples would have reported this. “‘Why are you troubled, and why do doubts arise in your hearts? See my hands and my feet, that it is I myself. Touch me, and see. For a spirit does not have flesh and bones as you see that I have.’ And when he had said this, he showed them his hands and his feet. And while they still disbelieved for joy and were marveling, he said to them, ‘Have you anything here to eat?’ They gave him a piece of broiled fish, and he took it and ate before them” (Lk 24:38-43, ESV). This scene occurs after the resurrection but before the ascension. While that might seem like cheating–normal humans stay dead so Jesus doesn’t seem to be totally “human”–it’s interesting to note that Jesus calms them down with evidences that He’s still the physical human Jesus that they’ve known all along. No one is saying, “but Jesus, that’s the first time you’ve ever eaten anything? !” or “I thought you were God, but now you have flesh and bones, who are you anyway? 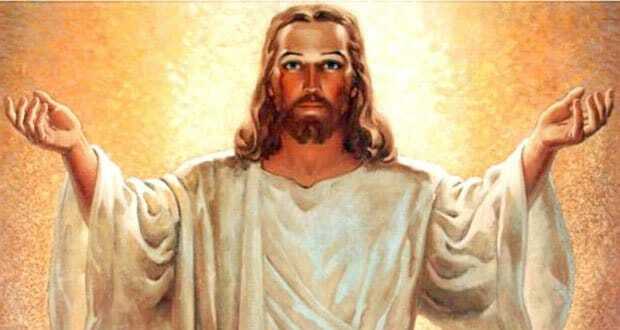 !” Jesus has presented as a physical human being all along, before and after the resurrection. In keeping with his physical features, we see the incarnate Jesus manifesting physical limitations. He grew in physical stature implying he was not fully matured or perfectly developed at birth (Luke 2:40, 52). He was susceptible to tiring, hunger and thirst, thus needing rest and food and drink (John 4:6; 19:28; Matt 4:2; ). Jesus learned things implying prior ignorance (Luke 2:52). Jesus even confesses ignorance, in Mark 13:32, about the day and hour of His own return (the Kenosis/2nd Coming). Jesus manifests the mundane limitations of mortal men. One of the subtle qualities distinguishing orthodox Christology from early variants is the fact that Jesus has a distinct will (desires/plans/ambitions/etc.) from the Father. Jesus says in John 6:38, “I have come down from heaven, not to do my own will but the will of him who sent me” (ESV), indicating that He has a will as does the Father, and these are not the same thing. In this way Jesus can say to the Father in prayer, “Not as I will, but as you will” (Matt 26:39). Jesus’s humanity is not just a body tacked onto a divine soul. Of course, Jesus subjected His human will to the Father’s will, but its important to see that a distinctly human will and a distinctly divine will can both cooperate in the same person. Jesus is and was a fully human person including mind, will, and emotions. Jesus embodies human emotions just as you and I do. He weeps over the death of Lazarus (John 11:35), and grieves over losing John the Baptist (Matt 14:13). He has compassion towards his followers (Matt 9:36). He sympathizes with our weaknesses (Heb 4:15). He was zealous for the House of God (John 2:17). He even got angry with the Pharisees (Mark 3:5). Jesus is deeply emotional. One of the key salvific issues in Jesus’ humanity is that if He was entirely God without any humanity then He could not die, and the Gospel falls apart for lack of a real sacrificial atonement. Sin is big enough and bad enough to merit a complete sacrifice, as “the wages of sin is death” (Rom. 6;;23). All four Gospels include the Passion narrative detailing the death and resurrection of Jesus; “He breathed his last” (Mark 14:39; Luke 23:46), He “yielded up his spirit” (Matt 27:50), and He “gave up his spirit” (John 19:30). Some have flirted with the idea of a “swoon theory”–where Jesus never really died; and Muslims believe Jesus somehow was replaced accidentally or supernaturally by someone else like Simon of Cyrene. But these are eisegesis, reading unwarranted things into the text. And neither of these views–the Replacement Theory or the Swoon Theory–challenge the humanity of Jesus. Both align just fine with Jesus’ humanity. 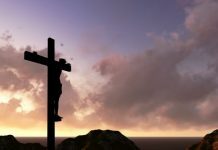 The normal and plain reading of Scripture, and the agreed testimony across Creedal history, is that Jesus physically and literally died on the cross. Left to our own human devices, everybody dies. But only Jesus has risen again. Interestingly, Jesus doesn’t rise in a merely spiritual fashion–like a ghost, a hologram, or an idea in the minds of believers. Scripture takes pains to report how the resurrected Jesus was still physically embodied even though He is glorified (Luke 24:39; John 20:20, 27). The resurrected Jesus, for reasons only He knows, chose to retain the holes in his hands and sides (John 20:19-29). Spirits don’t have holes. Ideas don’t have holes. But the body of the risen Christ has holes that can be touched as He is a physical embodied person. Most religions in the world have some place for Jesus as a prophet, a teacher, or an enlightened spiritualist, but it is rare to find religions teaching that He is God in a theistic sense. The deity of Jesus is a bold claim distinguishing Christianity from other religions. What evidence do we have for this teaching? In John 8:58 Jesus says, “Before Abraham was born, I AM.” We see the same scene in Mark 14:62-63, Jesus says, “I AM; and you shall see the Son of man sitting at the right hand of power, with the clouds of heaven.” In Mark, Jesus combines the “I am” statement with reference to the “Son of Man,” which many understand to be a divine and messianic allusion to Daniel 7. In John 18:5-6 Jesus makes a similar claim, “‘I AM” and among the arresting party, “They drew back, and fell to the ground.” Notice that Jesus’s audience respond with a posture of reverence. The “I AM” statements are a subtle but important line of evidence for Jesus’s deity. “In the beginning was the Word, and the Word was with God, and the Word was God. He was in the beginning with God. All things were made through him, and without him was not any thing made that was made. In him was life, and the life was the light of men. The light shines in the darkness, and the darkness has not overcome it. . .
Now this could be taken as a sort of “unified purpose” or a “unity of spirit,” except that the Jews attempt to stone him here for claiming equality with God. Furthermore, Jesus defends his position saying He’s proving his oneness with the father by doing the Father’s works (John 10:37-39). Jesus also identifies himself as the embodiment of and manifestation of God in John 14:7, “If you had known Me, you would have known My Father also; from now on you know Him, and have seen Him.” If seeing Jesus is seeing Father God, and knowing Jesus is knowing Father God, then Jesus is somehow identical with Father God. Trinity doctrine affirms this identity in terms of His deity, while also affirming the passages about his distinctness from the Father as that’s in terms of his humanity (ex., Matt. 24:36). In John 12:36-41 Jesus is identified as the glorious one of whom Isaiah spoke but the quote is from Isaiah 6:1-10 and the one he’s speaking of is Yahweh. Jesus does things that only God can do. In Mark 2:5-11 Jesus forgives other people’s sins. This admission may not seem like much but imagine if you and I got into an argument about something trivial. I then push you hard to the ground, wholly undeservedly. This is a sort of “social sin,” it’s a sin between two people. I owe you an apology and you have the power to forgive me if you desire. But I also sinned against God by hurting someone who is made in His image. Even if you forgave me, I still need forgiveness from God. Jesus is like a third-person stepping into our fight and saying, “I forgive you John.” That would be odd, since I didn’t push this guy down, I pushed you down. Jesus is forgiving sins between other people. Jesus therefore is taking on God’s role of forgiving sins. In Mark 2:5-11 Jesus confirms his divine authority with a miraculous healing. Other prophets and apostles have performed healing, but Jesus expressly heals a man after forgiving the man’s sins, and in direct answer to the Pharisees accusation of blasphemy. He forgave sins as only God can do, and he healed people by his own authority over sickness and sin. Only God can perform miracles by His innate authority over sickness, sin, and death. Jesus also receives divine honor. In John 5:23, Jesus claims or accepts the honor due only to God (compare with Isaiah 42:8). Jesus also wields the full authority of God. Matthew’s Gospel, in 28:18, He says, “All authority in heaven and on earth has been given to me.” No one can have “all authority in heaven and on earth” but God alone. After the resurrection, and nearing ascension, Jesus has begun a new phase of His ministry and no longer “empties” himself of that prerogative but instead embraces and exercises his full authority as fully God at the “right hand” of the Father (see, Philippians 2:7-11). One of the clearest signs of Jesus’ divinity, besides overt claims to that effect, is how He readily accepts worship. In Matthew 14:33, we see, “those who were in the boat worshipped Him.” And in Matthew 16:16 Simon Peter says, “You are the Christ, the son of the living God.” After the resurrection, in the midst of the great commission the gathered disciples “When they saw Him, they worshipped Him” (Matthew 28:17). At several points in Mark’s Gospel the demons acknowledge Jesus’s authority and worth, even if their intentions are corrupt and manipulative (see, Mark 5:6; Mark 1:24). Apparently, demons were cast out by the authority of Jesus, hence the formula of exorcism “in Jesus’s name” thus Jesus’s power and worth are acknowledge even in the dim light of exorcism (Mark 9:38; 16:17). Also in John’s Gospel, Thomas says of Jesus “My Lord, and my God!” (John 20:28-29). Even prayers are offered in Jesus’s name (John 14:13-14; 15:7; cf. John 14:6). Strictly speaking, “claiming” something doesn’t make it true. And when the Apostle Paul claims Jesus is God that is not direct proof of Jesus’s divinity. 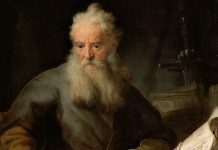 It is proof that a first century convert from Pharisaic Judaism to the early Christian Church identified Jesus as God. Paul’s claims are however powerful indirect evidence. If Jesus was God, then it make sense why this Jewish Zealot would convert to Christianity and start attributing deity to that strange Nazarene. Consider for example, the rich salvation teachings in Romans interwoven with some high Christology portraying Jesus as God. Romans 9:5 says Jesus “Christ is God over all blessed forever, Amen.” Romans 10:9-13 and 9:33 identify Jesus as the proper object for declaring saving faith; “everyone who calls on the name of the Lord will be saved” and “whoever believes in Him will not be put to shame.” But in the source text for these prophecies, Joel 2:32, Yahweh is in view. He is the one whom people are to call upon, in faith, for salvation. Jesus is the same savior as Yahweh. In Ephesians 4:7-8 Paul identifies Jesus as fulfilling the prophecy about “ascending on high” from Psalm 68:18, but that prophecy in the Psalms is about the Yahweh God. Jesus is thus identified with Yahweh God. One of the clearest portraits of Jesus’s deity is in the Kenosis passage in Philippians 2:5-8. Drawn from the Greek word for “emptying,” the Kenosis passage portrays a fully-divine Jesus suspending some of His divine standing somehow to assume an incarnate form and die on a cross. “Have this attitude in yourselves which was also in Christ Jesus, who, although He existed in the form of God, did not regard equality with God a thing to be grasped, but emptied Himself, taking the form of a bond-servant, [and] being made in the likeness of men. 8 And being found in appearance as a man, He humbled Himself by becoming obedient to the point of death, even death on a cross” (Phil 2:5-8; NASB). Hebrews 1:10 says Jesus “laid the foundations of the earth” but Psalm 102:25-27 says that Yahweh did that. 1 Peter 2:4-8 identifies Jesus as the fulfillment of the “stumbling block” prophecy, that is, He’s the “stone the builders rejected” which is a “stumbling block” that becomes the cornerstone. But in Isaiah 8:13-14, the source of this prophecy, these verses are about Yahweh. Again, Jesus is identified with God. As alluded to earlier, Jesus fulfills several prophecies which align Him with supernatural forecasts. The fulfillment of prophecy does not, alone, testify to divinity except that it is reasonable to believe Jesus told the truth about his divinity if he is confirmed elsewhere in supernatural ways through humanly impossible incidents (see, Geisler Baker Encyclopedia of Christian Apologetics 1999, 612). Messianic Prophecies point out Jesus’ unique saving role, which He should not have been able to fulfill were he merely mortal. Isaiah 53, for example, is a Messianic prophecy in the “suffering servant” tradition closely reflecting the crucifixion accounts in the Gospel. Jesus was descended from Abraham, in the Tribe of Judah, and of David (Genesis 12:1-3; 49:10; 2 Sam. 7:14; cf. Matthew 1:1-14). He was prefaced by the foretold ministry of John the Baptist (Mal. 3:1; see Matt. 3:1-3). The objects of Jesus’ ministry are prophesied (Isa. 61; cf. Luke 4:17-20), as was his rejection among the people (Ps. 118:22; cf. 1 Pet. 2:7; Matt. 21:42; Mark 12:10; Luke 20:17; Acts 4:11). Jesus’ manner of death is foretold at several points including the piercing of hands and feet (Ps. 22:16; cf. Luke 23:33), the piercing of his side (Zech. 12:10; cf. John 19:34), and the casting of lots over his garments (Ps. 22:18; cf. John 19:23-24). 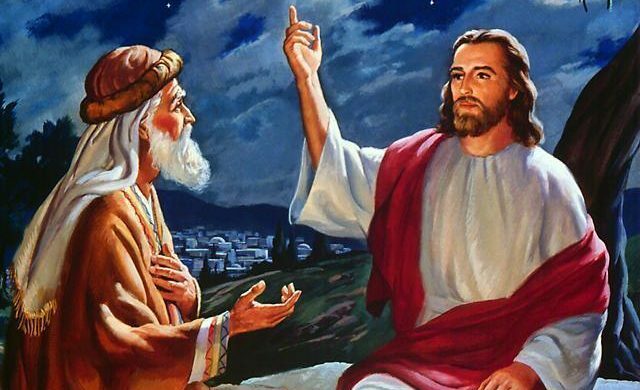 Jesus also predicted his resurrection pointing to it as confirmation of the truth of His teaching (John 2:19-22; 10:18; Matt. 12:39-40; 17:22-23). Josh McDowell, in More Than A Carpenter refers to over 80 prophecies that Jesus fulfills and he reports that the possibility of a single person fulfilling so many prophecies is immeasurably small. 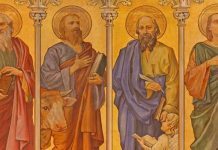 While technically a miracle account, and the ability to work miracles has been mentioned earlier as a prerogative of God, the Resurrection is such a pivotal subject in Christian thought, it merits a separate mention. The central witness to the deity of Christ however is the resurrection. However, even then, the resurrection must be properly understood for it to have evidential value. The resurrection is not a resuscitation. Resuscitations have happened in history, and happen often today. Since they have natural precedent, they are more easily explained as anomolies than as miracles. Resuscitation restores a person to the same body unchanged except maybe with a new lease on life. Resurrection however assumes a glorified body, which, Christians assert will not die. Had Jesus simply “resuscitated” it is difficult to believe that the church would have exploded into the world scene and opponents be converted and the apostles and early followers claimed appearances of a “risen” Jesus, all because of a beaten and bedraggled man stumbling out of a recent coma. Resurrection is not, itself, direct evidence of divinity. Old Testament and New Testament Scripture alike speak about a future resurrection for everyone, yet Jew and Christian alike reject the idea that Humans are God (see Dan. 12:2 and Rev.20-22). Jesus however predicted his resurrection pointing to it as confirmation of the truth of His teaching (John 2:19-22; 10:18; Matt. 12:39-40; 17:22-23). Among other things, Jesus taught that He is God (see above). However, given that Jesus foresaw His own death and resurrection in prophetic fashion, and pointed to it as proof confirming his teachings, moreover, Jesus taught that He is God, it is reasonable therefore to interpret the resurrection as evidence that Jesus was teaching the truth about His divinity. What this means: When we bring these two features together, humanity and deity, we get a mystery called the “hypostatic union.” The English word is from the Greek hypostasis meaning “nature” or “person.” In this case, it’s a union of two natures into a single person. If Jesus is fully God and fully man, then all the distinct and necessary qualities of humanity are true of Jesus, and the same goes for His deity. Everything true of God is true of Jesus. Jesus didn’t have multiple-personality disorder. The hypostatic union does deal in two natures, but also refers to a unity, a singular reality where there is only one person for whom deity and humanity both correctly describe Him. Jesus could not be fully God and fully man if there were two persons, as that would mean only the first Jesus is fully God while the second Jesus is fully man. Because Jesus is fully God He cannot have become God since God is (1) eternal, (2) unchanging and (3) perfect. God’s eternality means He is unlimited by time, having no beginning or end. So there’s no opportunity for Him to become divine. God never began. Also, God is perfect and unchanging (i.e., immutable). As such, He has no ability to change since changing adds or subtracts from God, but if He’s already perfect He cannot also be improved (i.e., better than perfect) or degraded (i.e., less than perfect). If there was ever a point and time in which Jesus was not God, then Jesus would never have been able to become God as that would be a change in God’s immutable nature. Jesus acquired a human nature through the virgin birth, but he was already the self-same divine person from time immemorial. Any genuine change, limitation, or imperfection in the person of Jesus is only in His human nature. We theologians don’t always like to admit what we don’t know, but in this case it’s a tenet of orthodoxy to confess that the union of deity and humanity in Jesus is a mystery. We know enough to know it’s not a contradiction. The finite and mortal features of Jesus are true of His human nature but not of His divine nature. And the eternal and unchanging qualities of Christ are true of His Divine nature and not of His human nature. We just don’t know very well how deity and humanity relate in the person of Christ. And I suspect even after many ages in heaven, we will still just be scratching the surface. 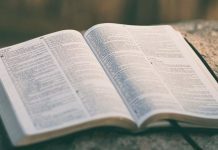 By “inerrant” I mean “without error.” For a formal and conservative statement on inerrancy see, The Chicago Statement on Biblical Inerrancy (1978). * FF Bruce, The New Testament Documents, Are They Reliable? * Walt Kaiser Jr., The Old Testament Documents, Are They Reliable and Relevant? Swoon theory and Islamic theory of the resurrection. In John 8:58, when Jesus says, “Before Abraham was born, I AM” the phrasing is just as awkward in the Greek as it is in the English. Both oddly combine past tense with present tense, “was/am.” The immediate audience apparently interpreted this statement as an identity claim with God the Father, who is also known as: “I AM.” Later interpreters and theologians have largely aligned with that interpretation. The name “YAHWEH can be translated as “I am” as it is rendered in the scene in Exodus 3:14 where Moses encounters the burning bush and God says, “‘I am who I am,” and later, “Say this to the people of Israel, ‘I am has sent me to you.’” (Exod 3:14).